This ground level 2 bedroom, 2 bath unit sleeps 8. The pools are just steps away from your private, gated patio! Rooms Sleeps 8, This ground level 2 bedroom, 2 bath unit sleeps 8. The pools are just steps away from your private, gated patio! 98 % of our reviewers would recommend this vacation rental. This place was absolutely perfect for my friends and I spring break get-away! We just wanted to relax on a beach for a couple of days and that’s what we got! This condo was amazing! It was totally clean, and exactly what they said it was going to be! We will be going back!! It was great. No crowds. Weather was good, Condo was nice and clean. Nice visit we enjoyed the beach as always at dauphin island . Emailed check in and out instructions would help but enjoyed the stay . We have stayed at the Inn the last 2 years. We always have a wonderful week while staying there. We can't wait to go back! Disappointed with maintenance problems not resolved prior to our arrival. Still enjoyed the island. I took a week to just rest and relax. This condo was perfect for that. It is beautifully decorated and spacious. Being a bottom floor unit made it easy to come and go to the pool and the beach. Will definitely be going back and trying to get this unit. The room was great. We are a family of 5 and it fit us perfect! My kids loved it! Wish we could’ve stayed another week. The location to the pool and beach couldn’t have been better. Skinners is a must try for fresh seafood and island rainbow pizza! Yum! The sea lab was a great leaning tour. I don’t recommend the bird sanctuary in really hot temps. No markings to stay on path. And the ferry was a great first time experience! Room 109 gave us a memory we will never forget. Only changes I would’ve made were the patio furniture needed fixed. Only 2 chairs and we need 5 and the sliding door was very difficult to slide. The grill also did not work. But none of those things really mattered compared to the great experience we had. We will hopefully be able to come back to DI soon. Jan Long from Malvern Arkansas. Clean rooms and very close to beach!! We really enjoyed this condo for the week. It was a quick walk down to the beach, which we had to ourselves, and the pool was just out our door. Loved how big the washer was, usually have such small ones in condos. Only complaints would be the carpet in the bedrooms was odd with being just off the pools and such and we would have preferred a softer bed in the master. Would definitely stay here again! The condo we stayed in needed a few repairs, but overall it was a great vacation! My husband and I love staying is a very relaxing place to go and forget your worries. Maggie C from Lewisburg, TN does not recommend this vacation rental. The condo was fine. I question whether the bedspreads are clean. the check out procedure told me to strip the sheets but not the spreads. the location made getting groceries difficult and they were over priced. the water appeared dirty. we had a good time but will likely not stay here again. - Condo and premises very clean and kid friendly. - wonderful beach and pool access. Well priced. - Great local seafood, pizza, and ice cream nearby. -Management staff was unbelievable regarding death in family. Called to cancel and allowed to reschedule trip. All staff was understanding, kind and sincere. This vacation was a Mother Daughter Spring Break. This was our first time to Alabama. We go to South Florida Gulf Coast every year and just thought we would shorten our drive a little and check out the Gulf in Alabama. We had a very relaxing vacation. We arrived early Sat and our Condo was ready! We loved being on the first floor and the two pools were clean and warm. We l loved everything about the condo. Colors, tvs, beds kitchen everything. My suggestion to the owners would be replace the bedroom carpets with tile. They are very stained and appear very dirty. The other thing I would like to mention is the price is a little deceiving. When I chose this particular condo it was listed at $1,000 a week and when I received my billing information it was $1,400 with taxes and fees. If you are planning on vacationing here bring along good books not a heck of a lot to do on this island. We enjoyed a four night vacation over spring break and it was the easiest check in process, quickest beach access, awesome to have two choices of pools-which was nice since one was heated. The condo was clean and well taken care of. The staff were friendly and willing to answer any questions. We were greeted every time they saw us. Parking was easy and it was nice to be in a gated complex. The rental space was awesome. 5 Stars for sure! We had a wonderful stay. The condo was so clean and so inviting. The kitchen was well stocked. The bedrooms were ready & the bathrooms were stocked as well. We absolutely loved being there and looking forward to staying again. The staff was so helpful and everything ran so smoothly. We will recommend "The Inn at Dauphin Island" to all of our friends & family. It is a beautiful place and a great place to make memories. Thank you. It was a beautiful condo. it was on first floor with easy access to pools and beach. Cloudy on friday so we piddled around in Mobile on Saturday weather was perfect. set out on beach in tank tops and shorts and got a lot of sun. We had a great time and thoroughly enjoyed our stay. The management and staff were friendly and helpful. The condo was more than sufficient and very clean, comfortable and convenient. It couldn't have been a better experience! It's almost our second home. The grounds are beautiful and well-kept -- we very much appreciated the new walkway to the beach. And the pools were perfect and well maintained. This unit could use some updating, but otherwise a great trip. It was great. One of the pools is heated. Has beach toys and a great home away from home. Nice tvs with plenty of stations. Beach is only steps from the backyard and it makes you feel guilty for sitting on the couch. You can rent chairs and umbrellas from chasing Rays. Nice, clean place with a short walk to the beach along the Gulf of Mexico. Great stay right on the beach! Our room was very nice and so close to the beach. We really enjoyed that our room had a full kitchen that way we could save money on eating out. If you want a nice clean room with beach views, I would definitely recommend checking this place out! I don't want to tell you how nice it was because I don't want people to know. It was so nice I want to keep it all to myself. Even though there was construction on the outside and it stormed all but 2 days, we could not have had a better time. The condo was very nice and more advanced than expected. It was definitely a great deal for the money and the staff was pleasant to work with. Thanks for a great time! Great experience in conveniently located ground floor condo. Very clean and well appointed. We had a great time. It was great having the pool right outside the patio. We will return! Units are spacious & well furnished. 2 pools right outside our patio door. Best location, on the Gulf side & near the center of the island. We stayed in a house on the Bay side the following week & wished we hadn't left this condo. The Bay side lacks the ocean breeze, which makes the temperature much hotter. In July, temps exceeded 95 deg every day. Very relaxing and fun quality family time. We have five children, and this unit is extremely conviniet for families with children. We were located in front of the non-heated pool, but only steps away from the heated pool. Place was wonderful and clean. Master tub leaked and drained really slow, other than that it was great. Kitchen was well equiped. I almost don't want to give a great review so that the unit is always available to me!!! Aside from my love of Dauphin Island (quiet, small, easy to access, paradise, etc...) - the Unit 109 was fantastic! Very clean! Everything we needed as far as utensils, pots and pans, and starter kit! We were there in Oct and the staff kept one of the pools heated and it was DIVINE! When we went to leave, a favorite kids DVD got stuck in the DVD player so I casually mentioned it to the staff - a week later it was sitting in my mailbox. LOVE the staff at the Inn! We meet our North Carolina Daughter, Son-inlaw, and two grand kids for a few days of spoiling. The condo was perfect for our stay. Nicely furnished with good amenities. The proximity and size of the pool was perfect for the little ones to enjoy. The quiet atmosphere was an added bonus. Our stay at this rental was delightful! The decorating is adorable. The condo was very clean and had everything we needed in the kitchen. We used the grill several times and it was super easy to clean in the sink. It seemed to be teflon coated. We did not know how to get in the gate the first night, since we were late getting there. Called and a super friendly lady helped with the code and directions to get the key. Will definitely rent this unit again! We have been vacationing in Dauphin Island for 10 years now and we love it. We have stayed at The Inn multiple times and unit 109 is a great unit to stay in. The pools are not kept as clean as they have been in years past. It seems that The Inn is not being maintained as well as it used to be. There was trash around the pool area, tons of bugs in the pool and it stayed that way the whole time we were there. This was the 2nd time my oldest daughter and I have stayed at The Inn while my youngest daughter attended the high school marine science program at the Sea Lab. We stayed at another property the 1st yr. The location of 109 was perfect for us, steps from the pool and very close to the walkway to the beach. The families there while we were there, made our vaca special. There was an incident after we checked in. The lock was broken on the glass sliding door in the den. I reported the problem to the after hours # since it was Sunday and expressed my safety concern as my daughter and I were on the ground floor!! !I I was disappointed when no one called me back or came to fix the lock!! I left a note on the office front desk before I went to bed on the couch. I went to the office the next morning to follow up on the phone call and note. The maintenance man came to evaluate the issue and had to replace the lock. Other than that, we had a great time. Everything about our vacation week was exceptional. The accommodations were top-notch! 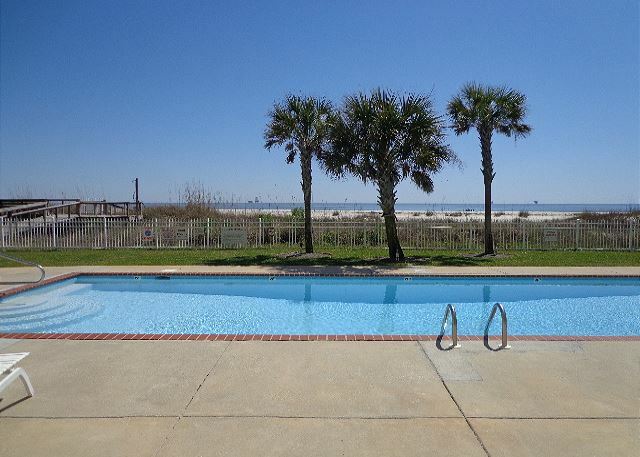 The overall facility including pools and proximity to beach was perfect for our family! Dauphin Island is a family oriented gem! Highly recommend! Our grandbabies first time to a beach and they loved it! Wasn't FL beaches like we were used to but it was a great time. Convinence to pool and beach was a plus, as well as, all the amenities that went with the Condo. For future guests need pot holders and BBQ grill scraper available. Additionally a larger skillet or electric one would be nice. We met Owners of condo 111 and a great friendship was made!! Would recommend purchasing all groceries prior to reaching the island and checking your price given in full detail before your arrival. Found that others paid several hundred less than what we did and we stayed 14 days!! Should have received some type of discount or offer to refund part of our price!! My family and I enjoyed our stay. 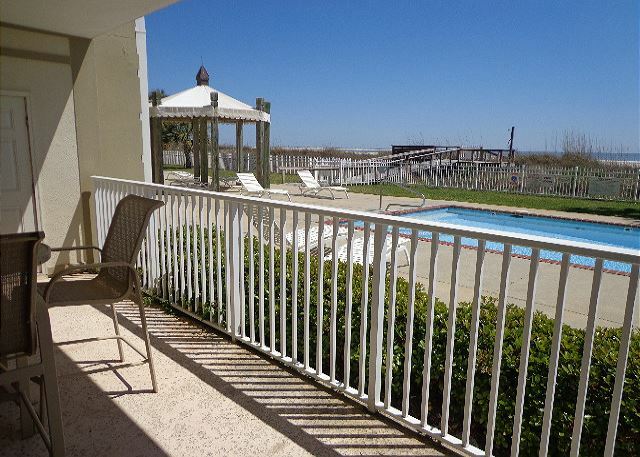 The location and proximity to the beach and pool were a huge convenience for us. The condo was well equip with everything we needed including beach toys for the kids. I have stayed at "The Inn of Dauphin Island" for many years. The personnel are always helpful and friendly. The accommodations are always good and if, and I say "if" very faintly, there was a problem it was corrected immediately. I highly recommend this place for a wonderful family vacation place. I will continue to go back several times during the year. Just returned from our third visit. Very satisfied!